The health benefits of ginger root are numerous. When used in a massage (diluted in a carrier oil), its warming and tonic properties can ease muscle pain and rheumatism. It can also be used to eliminate mucus and reduce headaches and pain caused by sinus congestion. Ginger health benefits also include being an effective way to treat nausea, with possibly great reduction in motion sickness and morning sickness for some people. When used in a recipe, ginger root can provide personality to an otherwise plain dish. Its peppery, spicy and rich taste works wonderfully well with Asian cuisine. for a relaxing way to improve your digestion! Depending on the extraction method, the note will be high or middle. Its woody and spicy aroma is mildly stimulating. It is well known for its spicy, warming and digestion stimulating properties. Cooking. Fresh or powdered ginger root is used in various Asian dishes such as stir-fries. Pickled ginger root is a common condiment in Japanese cuisine and is an essential part of the sushi and sashimi experience. Dried ginger powder is a common ingredient in various Indian dishes as well as cookie, gingerbread and cake recipes. Let’s not forget candied ginger ! Tea. To improve your digestion, try this ginger tea recipe: bring 3 to 4 cups of water to a boil, then add thin slices of fresh ginger root (about a thumb’s length). Reduce the heat and let it simmer for about 15 minutes. Strain and let it cool slightly, then drink slowly. You can add a touch of honey or lemon to make it more enjoyable to drink. You can also purchase ginger herbal tea bags . The most commonly known benefits of ginger root tea are to reduce or eliminate nausea, digestive problems as well as help soothe a sore throat and treat other symptoms of colds and flus. Essential Oil To stimulate memory and brain functions, burn 4 drops of ginger essential oil with 2 drops of rosemary oil mixed into 2 tablespoons of water. This mixture is perfect on a lamp ring or candle-lit aromatherapy diffuser.For a pain-relieving and warming massage, combine the following: 6 drop of ginger essential oil and 2 tbsp of carrier oil. DO NOT apply this essential oil in a bath tub (it could irritate your mucous membranes) or directly to the skin without being diluted in a carrier oil first. You should use it at a concentration of 1% or less as it can irritate the skin. This essential oil normally comes in various sizes and can be found in major drugstores and specialized aromatherapy retail stores. Many internet-based aromatherapy companies carry this essential oil, so it’s easy to find. You can purchase Ginger 100% Pure Therapeutic Grade Essential Oil- 10 ml from Amazon. Go ahead and give it a try! You too could soon discover the benefits of ginger root. Learn more about how aromatherapy works for you. IMPORTANT SAFETY NOTE: Pregnant women should be careful when using ginger. 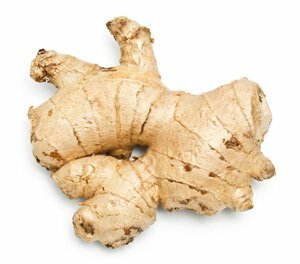 People who use blood thinners should not take ginger without talking to their doctor. Ginger should not be taken prior to surgery as it could thin the blood. Undiluted oils should never be applied onto the skin. Do not take any oils internally without consultation from a qualified professional aromatherapy practitioner. Consult a professional aromatherapy practitioner prior to using this oil to treat children.